The highest-bidder procedure is to lead to a sale of the property by the end of 2012. 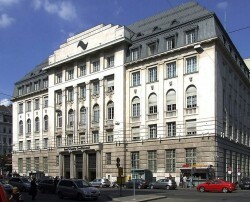 Bank Austria will retain its property until the new headquarters has been completed. UniCredit Bank Austria AG is launching the sale process for its property in the first Viennese district. The building will be sold to the bidder who submits the highest offer by the end of the current year.